We were meant to meet Talal today to discuss the fortress gates set – the one set that has so far survived ATG’s castration of Chris’s and Simon’s and Ahmed’s vision – so guess what happened? Talal postponed the meeting until tomorrow. That might not seem so bad if it were not got one thing: Talal knows Chris is flying back to London tomorrow so Chris can’t be there to save this set. We spent the whole week building a model for this meeting to sell this set. 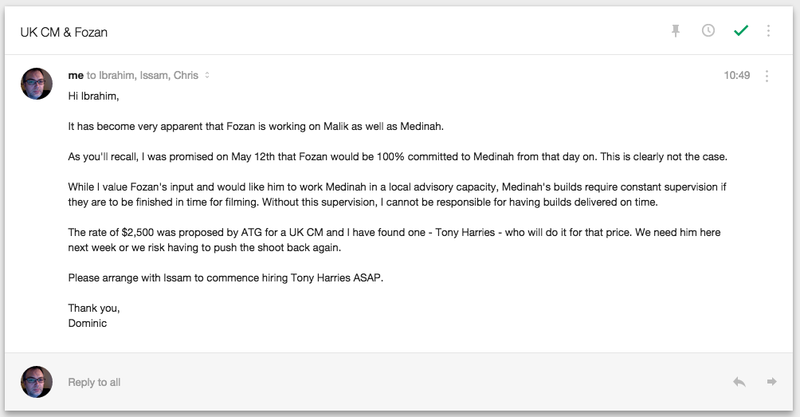 Fozan loves it and assures us he can build it for just 7,000 JODs which is nothing. But it would seem Talal doesn’t want to build any sets.